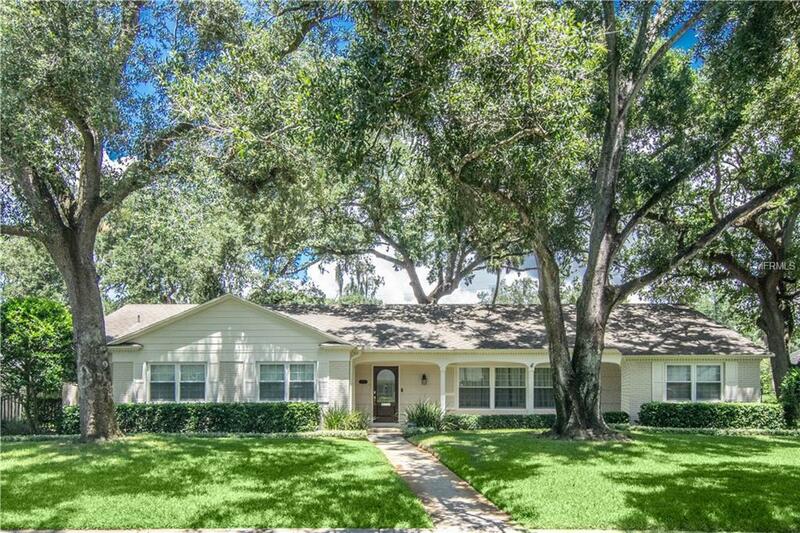 Gorgeous Culbreath Bayou home on a over sized corner lot 86 x 111 with lush landscape and a beautiful canopy of Oaks. Solid built brick ranch home. Spacious owners suit and secondary bedrooms. Enjoy both the large formal living room and family room space with windows allowing in natural light. Family room opening to the back yard, wonderful for entertaining on the brick lanai and large green space (room for a pool). Sit down for a formal meal in the dining room or space in the updated kitchen. Over sized 2 stall garage. This is a must see home, 2518 square feet under roof, yet lives much larger!